A lifestyle brand, Svenklas offers functional and minimal-looking bags that are great for both men and women. We're people who're fans of the minimal. Bulky bags with a billion zips, OTT clothing and blingy accessories are a strict no-no for us. Which is why, Svenklas' bags are a refreshing change. At the moment, this brand only does three types of bags but boy, do they get them right. Their designs are simple with compact-looking structures and basic colours (black, grey and blue). 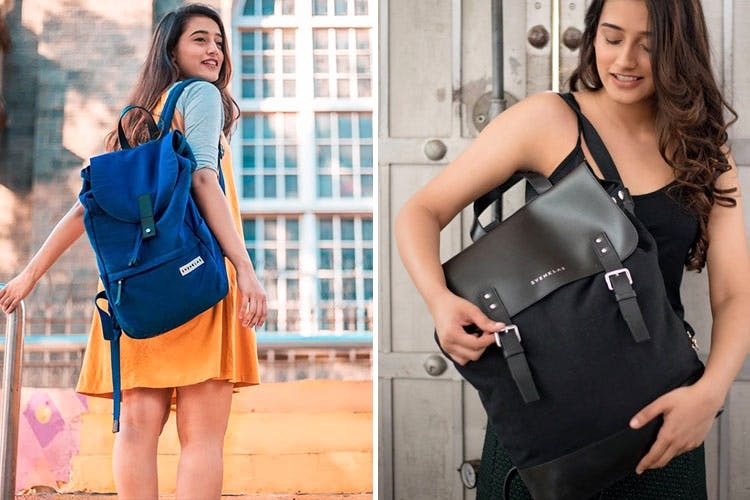 You won't find any randomly-placed zippers, pockets or buttons on Svenklas' products but, at the same time, these bags can store a lot of your heavy gadgets, clothes, books and miscellaneous items, and still manage to look compact. The materials they use are genuine grain leather, 100% organic cotton canvas and cotton fabric lining. The bags are all made with the best kind of fabrics that'll last long, so don't worry, you'll be putting your money in the right place. We wish they offered a few more options. At the moment they only have three designs. Definitely check out the product care section on Svenklas' website for tips on how to make your bags last longer.